What’s the one task or thing you have RIGHT NOW that you don’t like doing or shouldn’t be doing? Contact us and we’ll help you work out a process for alleviating overwhelm! 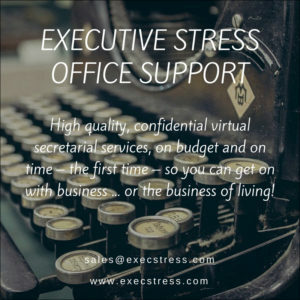 eSOS offers a range of services but specialises in digital transcription, document production, virtual author support, and executive PA services. We are detail-oriented allowing you to focus on your creativity and your business. Since February 2000, we have been providing high quality, confidential remote secretarial and Virtual Assistant support to clients across Australia, the UK, Singapore, the USA and Canada. Directors, consultants, coaches and speakers benefit from our many years in executive PA roles, offering a range of services including transcription, diary management/appointment scheduling, travel arrangements, expense claiming, meeting and event management, invoicing and payment follow up, document production and formatting, and general PA services. Medical and legal professionals benefit from our detail-oriented, confidential transcription service. We can provide full service, including printing and mailing of reports at no additional cost (for local clients), if required. Are you an author? We can help with manuscript preparation, proofing/editing, and self-publishing services, managing designers, article submissions, and blog set up. Don’t miss the free resources on our Authors page! Australia’s first VA to offer web-conferencing facilities we can help you with arranging online meetings to help streamline the productivity of your national and international work teams, or run your own training, sales or other web-based events. If you need to leverage the power of social media for your business, we can help set up Facebook pages and Groups, Instagram accounts, and LinkedIn profiles, and assist with uploading your generated content. Social media packages are available that include blog post/article editing, link qualification (if applicable), and upload, and generation of social media graphics to help promote your post/article across various platforms. If you have a WordPress site it’s important to keep it updated in order to keep it secure. We have a package that includes weekly checks, comment moderation, and necessary updates so you don’t have to worry about site administration. 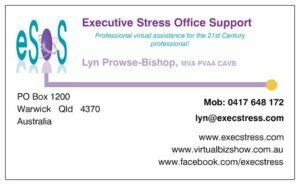 Lyn Prowse-Bishop has been running her virtual assistant practice, Executive Stress Office Support (eSOS) since February 2000. One of Queensland’s most well-known and respected VAs, she founded the Australian Virtual Business Network in 2006 and ran it for six years; served as Australian representative on international committees looking at standards and certification for the VA industry, and is a foundation steering committee member of the annual Online International Virtual Assistants Convention. 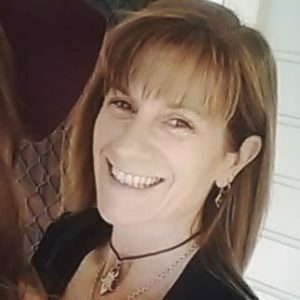 In 2010 she served as Queensland and VA Industry Representative on the national board of Independent Contractors Australia and was Chair of the steering committee of the Australian Chapter of the Alliance for Virtual Businesses. In 2017 she took on the volunteer role of Secretary of the Warwick Chamber of Commerce Inc helping to revamp and rebrand the Chamber into a more professional business organisation, and in 2018 took on responsibility for the Chamber’s social media and website. Lyn is a regular speaker at the Online VA Convention, and was also invited to speak at the inaugural Australian VA Convention in March 2010. 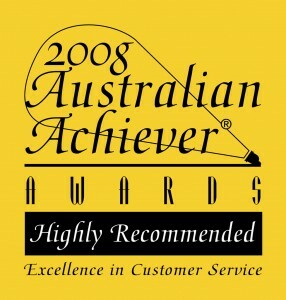 She has appeared in several print publications since 2006 and been interviewed by Pat Lynch at Women’s Radio on working as a virtual assistant, and by Simon of Virtual Business Advisor about partnering with a VA.
Lyn is a regular speaker at the Online VA Convention, and was also invited to speak at the inaugural Australian VA Convention in March 2010. She has appeared in several print publications since 2006 and been interviewed by Pat Lynch at Women’s Radio, The Virtual Business Advisor as part of his ‘interrogation’ series, and Ben Fordham at Radio 2GB regarding the effect of the budget on small business.